What Is Horse Powered Reading? 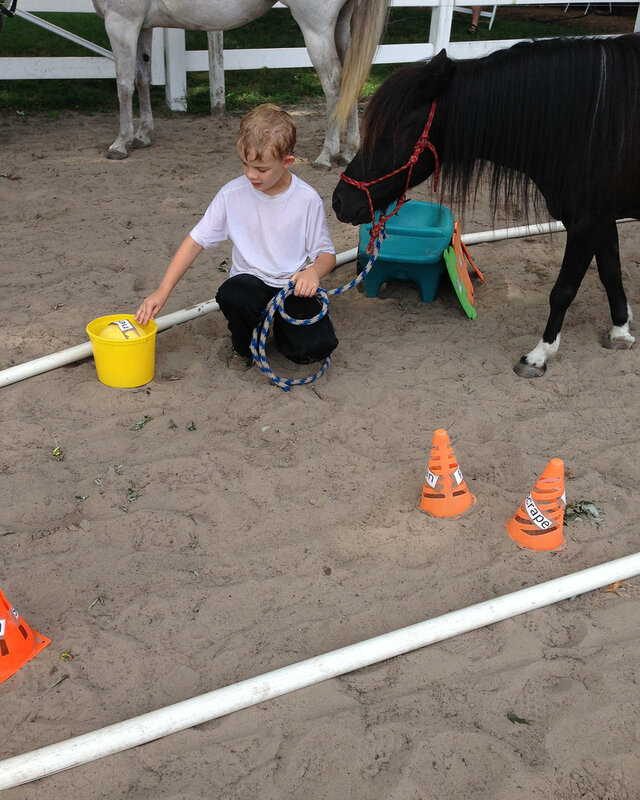 Using Equine Assisted Growth and Learning Association's (EAGALA) model of Equine Assisted Learning as the foundation, Horse Powered Reading integrates social-emotional learning with academics. Students see and experience reading with their entire mind, body and emotions by creating metaphors for the skills involved in reading. Often social-emotional issues, ADHD, anxiety, depression, and other mental health issues get in the way of student learning. Horse Powered Reading can break through those issues giving students a chance to learn or reinforce reading and other academic skills. 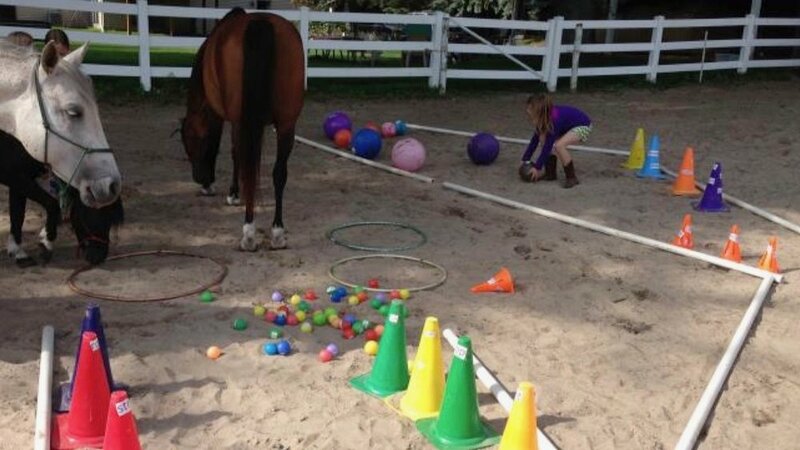 During Horse Powered Reading sessions, issues affecting learning are made visible by identifying obstacles (through the use of toys and props) that get in the way of understanding. Horse Powered Reading is a form of experiential learning which focuses on the learning process for the individual. The benefit is that students are allowed to make discoveries and experiment with knowledge firsthand. Issues getting in the way of academic and social emotional growth are addressed by our expert team in the moment. This allows students a chance to reflect on what they are experiencing and provides an opportunity to create new patterns of learning in a supported environment. All sessions are tailored to individual needs. The content of each session varies depending on the skills being addressed. 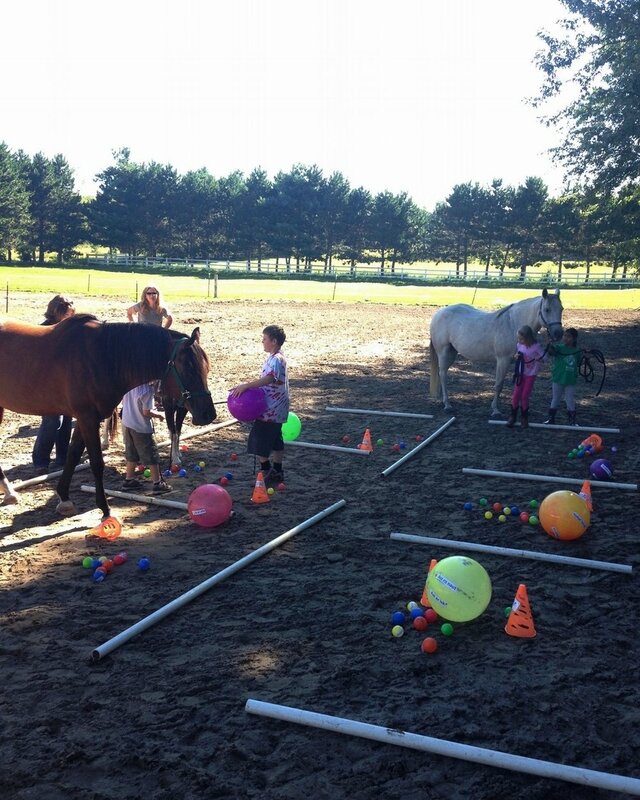 As an example, in the HPR sessions pictured below, clients were asked to create a “Reading River” (obstacle course) that must be navigated by overcoming their perceived obstacles to reading with their chosen reading buddy (the horse). Often while reading, readers don’t even know when they have drifted away and no longer understand what the text is talking about. However, in the Reading River it becomes obvious! When an obstacle is met, the reader is forced to stop or move out of the river with their horse. "Fix-up" strategies must be explored and used in order to successfully get past the obstacle and get back in the flow of reading. Facilitators can then ask, “What just happened?” and “How might that look when you are reading?” Perhaps the reader was forced to move out of the river and circle back for a ‘running start’ to get over an obstacle, much like you might need a running start to re-read a paragraph to get the meaning. Maybe the obstacle forced them to take a different route, such as looking at another chapter to figure out what is going on in the paragraph. Or, the student might need to get help by asking another person for assistance or use a tool such as a dictionary. Is Horse Powered Reading Effective? Yes! 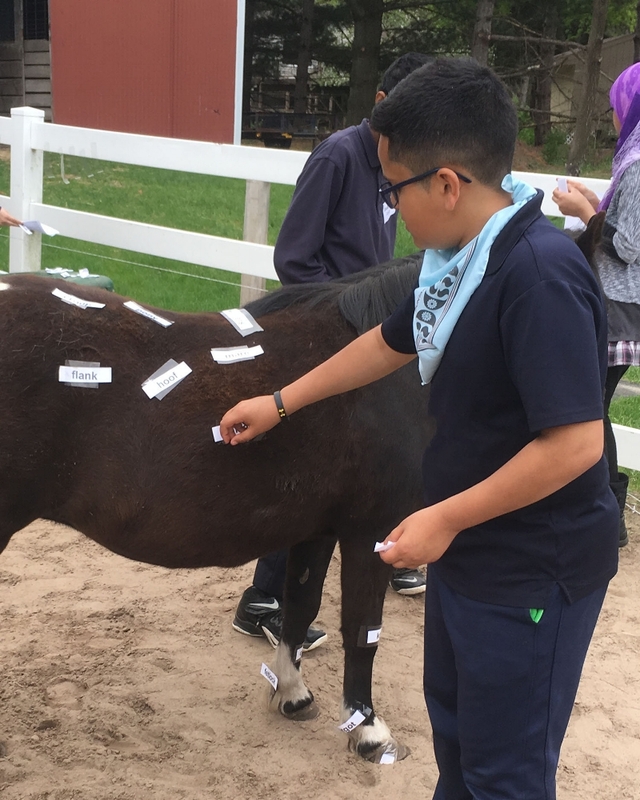 Our research has discovered that it only takes a few key reading skills combined with motivation, self-efficacy/confidence, and persistence, all of which are taught by the horses, to create an exponential growth in learning. An added benefit is that Horse Powered Reading appears to continue enhancing reading skills over time as students' improved social-emotional skills interact with academics at school. Horse Powered Reading has been such a success, that Dr. Michele Pickel now gives national presentations and teaches online courses to Educators, Equine Professionals, and Mental Health Professionals around the globe who are looking to start programs in their own communities.